« TV Guide: “Reengineered” For Today’s Television Audience And Industry– The Mr. Magazine™ Interview With Paul Turcotte, President/Publisher, TV Guide. 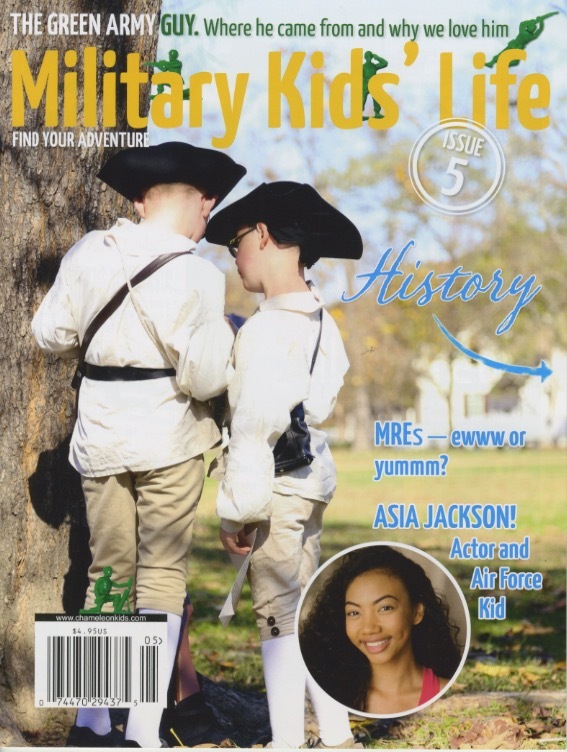 Military Kids’ Life magazine is the only print title for kids of U.S. service members of all branches that gives voice to the experiences these children have from their parents serving our country. Launched in April 2015 it incorporates military kids as reporters, allowing them the opportunity to tell their stories in their own way and connecting them with a host of people who provide a backdrop of different topics in which they can showcase their talents. Janine Boldrin is the creative director of the magazine and also a military spouse, her husband being active duty Army. Janine is a woman who knows the excitement and the angst of military life, and the joy of being a writer and a journalist. Her thrill is in the passion she has for her product and the kids who make her smile every day. I spoke with Janine recently and we talked about the magazine and the diverse emotions military life brings to the families. But no matter the mixed emotions adults and children alike might feel when either being deployed or watching a parent leave for months on end, the magazine presents a positive and bright outlook on the service environment and offers essays, articles, fiction, fun activities and poems, all centered on the concept of finding the bright side of life as a military kid. 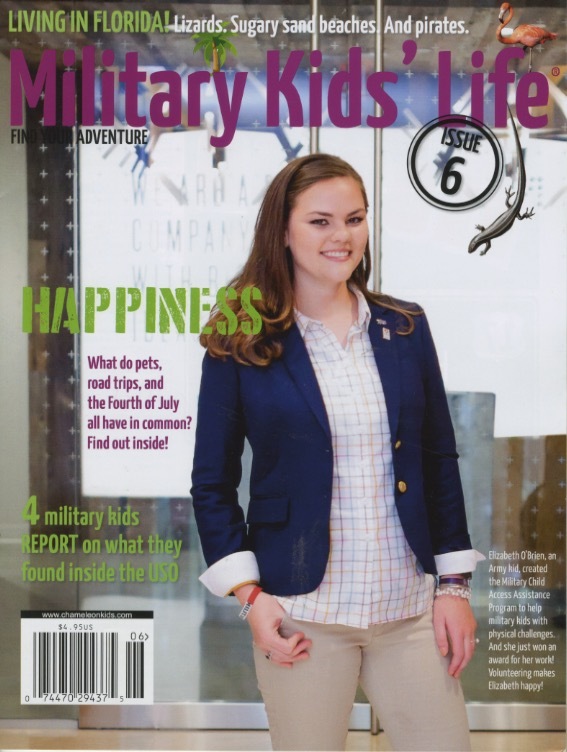 The tagline for the magazine is “Find Your Adventure,” so, I invite you to sit back, smile and enjoy the military adventure of a lifetime as you experience a Military Kids’ Life – the Mr. Magazine™ interview with Janine Boldrin, Creative Director, Military Kids’ Life Magazine. On the reason behind the company name Chameleon Kids: Chameleon Kids is all about our military kids, the children of U.S. service members, all branches. The reason that we named it Chameleon Kids is because our military kids go into communities and while they have to blend with the communities they move into, they’re also very distinct. So, we chose the word chameleon because we felt it really represented what our military kids have to be like. On whether she has found her own adventure in the pages of the magazine: It’s 110% my adventure. (Laughs) I love it. It’s amazing the emails that I receive from kids. I have three kids of my own and they’re really why I wanted to do this. I had not worked within the kid’s space with writing, so it was very unfamiliar to me. I wasn’t quite sure what I was going to get, but when I get stories from kids, I am encouraged as an adult every single day. On the “Hit the Road” section of the magazine: Our reporters are doing content for our print magazine, but they’re also developing some online content for us. For instance, we did a section in our most recent issue on the USO and we sent four military kid reporters out to visit some USOs across the United States. And they had designated times that they needed to go; they had representatives that they were meeting with to interview, and it really gave them a unique experience. They learned communication skills, how to tell a story, how to be responsible and it’s just a great opportunity for them. On why she decided to launch a print magazine: When I saw my own kids and how they engage with magazines and books; they love print. They love going to the library; they love touching and they’re very tactile. Kids will read a magazine in the back of a car; they love the brightness of it and they love getting mail. Kids today love getting something in the mailbox that is for them. That’s such an enjoyable experience. It’s not an experience you can have by downloading something on a phone or looking at a tablet or other Smart devices. On how she’s carrying it from the love and passion stage to a business model: That’s a very good point. You can have a passion for something, but it doesn’t necessarily mean that everybody else will have that same passion for your product. And we were worried about that at the beginning because we weren’t sure where this was going to go. But what we have found is that we’ve created something that people didn’t realize they needed, and in doing that we have found a home for our magazine in schools, libraries and in non-profits that serve military families. On the biggest stumbling block she’s had to face: I think part of it was just not pushing hard enough in the beginning. I feel like we started out really slowly. And we focused on things that weren’t important. For instance, we really thought we needed to have an awesome website right from the get-go. So, we put way too much time and way too much energy in creating this website, instead of really focusing on getting the product out the door. That was one of our primary fails in the beginning. On the most pleasant moment she’s had on this journey: It’s the kids, every single time. Their emails are just wonderful. I just love the kids’ feedback. They’re brutally honest. They will be the best critic on the face of the earth. They do not filter their comments like adults do. If they don’t like something, they’ll tell you they don’t like it. (Laughs) And if they love something, they’ll have a very genuine expression about it. On anything else that she’d like to add: I just hope that we’re able to connect more with schools and libraries and that more know that we exist. Quite frequently older military kids will tell us that they really wish this magazine had been around when they were kids. It’s really just hoping that we can reach more people to let them know we exist. On what motivates her to get out of bed in the morning: When I was a kid I wanted to be a journalist. I’ve wanted to be a writer since day one. I took a very long and winding path to get there, including getting master’s degree in manufacturing and working for IBM. One day I managed to get back to what was truly my original calling. And what gets me out of bed is providing encouragement and opportunities to kids who also feel that, so that they don’t go down a winding path, but they see a more direct way out to what they truly see as their passion and growing their passion, because I would have loved that. On what keeps her up at night: You know, military life isn’t easy; it really isn’t. My husband is gone from us more than he’s been at home and when you have three kids it’s a huge balance in making sure that everyone’s emotional needs are being met, when you’re the only parent around and your spouse is in a job that puts them in harm’s way. We’re in a society that is very disconnected from that. They don’t understand the sacrifice, truly that is made by military families and the sacrifices that our kids make. And that keeps me up at night. And now the lightly edited transcript of the Mr. Magazine™ interview with Janine Boldrin, Creative Director, Military Kids’ Life Magazine. Samir Husni: Tell me the mission, the idea behind Military Kids’ Life and behind the company name, Chameleon Kids. Janine Boldrin: Chameleon Kids is all about our military kids, the children of U.S. service members, all branches. The reason that we named it Chameleon Kids is because our military kids go into communities and while they have to blend with the communities they move into, they’re also very distinct. So, we chose the word chameleon because we felt it really represented what our military kids have to be like. They have to be a part of their community, but they’re also very vibrant and interesting. And that’s why we chose that name. We also tried to avoid always using military terms with our kids because military kids are kids too and quite frequently you’ll see anything directed toward the military community using a word like operation kids, or operation this or that, or camouflage. So, we tried not to be too much military, because they really do just like to do fun things also. The magazine was really born out of me being a writer for the past ten years within the military space. I had written a lot about military families, about veterans and service members, and I really found that there was a void when it came to our military kids. They didn’t have anything that represented their voices. As I started looking at it and researching, I realized that everything that I found out there really focused on the act of moving and most of the time the imagery was pretty sad. It would be a military kid crying or waving goodbye to a parent. When I looked around at my peers, because we’re an army family, I saw kids that were just being kids and they really had an exciting life because many of them lived overseas, they moved a lot and had amazing experiences. I wanted to give them an opportunity to share that with each other, so that they could become encouraged about military life, rather than just hear this message all of the time that they were broken because their parents were being deployed and they would have too many challenges and have to struggle, and that moving was a bad thing. So, I wanted them to share their stories with each other. And when they did that, I found that they had a great respect for each other. So, that’s really why we launched the magazine. We did a prototype and tried to figure out if it would work and if it was what they wanted and we found out that it was. We’ve had an exciting journey since. Samir Husni: To borrow from your tagline “Find Your Adventure,” have you found your adventure; is this your adventure now? Janine Boldrin: I love it. It’s amazing the emails that I receive from kids. I have three kids of my own and they’re really why I wanted to do this. I had not worked within the kid’s space with writing, so it was very unfamiliar to me. I wasn’t quite sure what I was going to get, but when I get stories from kids, I am encouraged as an adult every single day. Recently we started sending military kids out to do reporting in the field and it’s been so much fun. They go to concerts and museums; they meet with representatives of the museums and then they write a story for us. And they write to me just to say thank you. They thank me for giving them this experience and for trusting that they could do it. And it really is an adventure. It’s so much fun. Samir Husni: And you’re talking about the “Hit the Road” section of the magazine; the road trips that the kids are making? Janine Boldrin: Our reporters are doing content for our print magazine, but they’re also developing some online content for us. For instance, we did a section in our most recent issue on the USO and we sent four military kid reporters out to visit some USOs across the United States. And they had designated times that they needed to go; they had representatives that they were meeting with to interview, and it really gave them a unique experience. They learned communication skills, how to tell a story, how to be responsible and it’s just a great opportunity for them. So, that’s what we’re doing with our reporters; we’re trying to get them out, more than just doing things over the phone, so that they can write about their own experiences. Samir Husni: We live in a digital age, there’s no question about it. And some people say that kids don’t read anymore; so why did you decide to launch a print magazine? Janine Boldrin: That is an excellent question because we have been asked that since the beginning. We don’t get that question so much anymore, but when we launched the magazine everybody said we had to be out of our minds because kids would not engage with it if it’s not online content. When I saw my own kids and how they engage with magazines and books; they love print. They love going to the library; they love touching and they’re very tactile. Kids will read a magazine in the back of a car; they love the brightness of it and they love getting mail. Kids today love getting something in the mailbox that is for them. That’s such an enjoyable experience. It’s not an experience you can have by downloading something on a phone or looking at a tablet or other Smart devices. People get their mail every single day and when a magazine shows up with the child’s name on it, it’s exciting for that child. And then they can go up in a tree with it, they don’t have to worry about glare. They can sit on the playground with it, and that’s where we see our kids’ reading magazines. And they tell us. They love how bright it is and they love the feel of it. We think a lot about the feel of our magazine. When they touch it, they love the quality of the pages. And that’s what kids like and engage with. So, we’ve found that a print experience is perfect for what we’re trying to do. Samir Husni: I can hear the passion in your voice and the love you have for this project. How are you taking it from mere passion and love to a business model? Janine Boldrin: Exactly. That’s a very good point. You can have a passion for something, but it doesn’t necessarily mean that everybody else will have that same passion for your product. And we were worried about that at the beginning because we weren’t sure where this was going to go. But what we have found is that we’ve created something that people didn’t realize they needed, and in doing that we have found a home for our magazine in schools, libraries and in non-profits that serve military families. We have a lot of military personnel stationed overseas that order individual subscriptions. 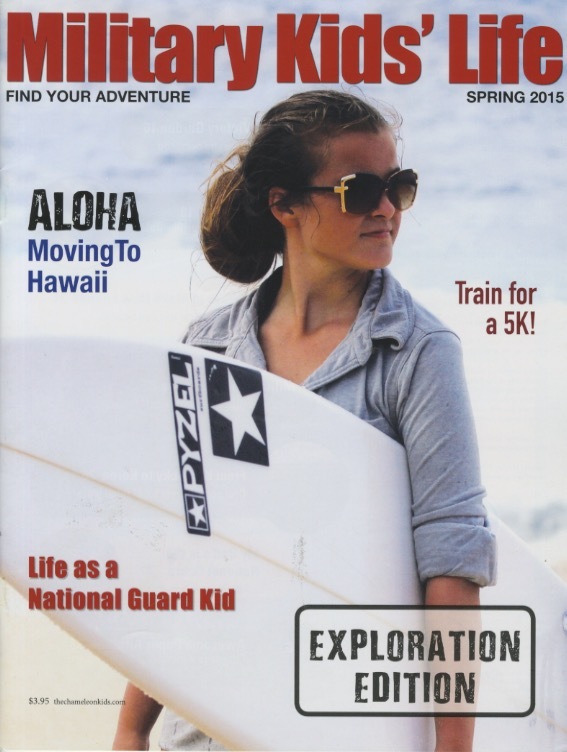 We’re working with overseas schools that serve military kids to get our magazine into their schools. What we’ve found is that it really serves as a springboard for conversation for military kids in group settings. We’ve also developed an educator’s guide that goes along with every issue so that teachers know how to use the magazine in their classrooms and in their small groups. It can help in starting conversations with military kids about their experiences. Something that is secondary to our primary audience is that we’ve found that adults who interact with military kids are reading our magazine, because they want to learn what the military kid experience is so they can serve them better. We’re finding that teachers, parents; again, non-profits that serve military kids, they want to be reading it, so that they understand what our kids are experiencing. And that’s how we’ve grown our business. It started with us thinking about individual subscribers, but now we’re getting subscriptions from schools. Our magazines are going to select USO centers and one of those is in airports where kids and parents will sit down in for periods of time between flights. And as you well know, airports are a place where people pick up magazines. We’ve found a lot of different homes that we didn’t expect to find and we’re finding more every day. Samir Husni: You’ve launched the magazine and you’re now on issue #6; what has been the biggest stumbling block that you’ve faced during all of this and how did you overcome it? Janine Boldrin: I think part of it was just not pushing hard enough in the beginning. I feel like we started out really slowly. And we focused on things that weren’t important. For instance, we really thought we needed to have an awesome website right from the get-go. So, we put way too much time and way too much energy in creating this website, instead of really focusing on getting the product out the door. That was one of our primary fails in the beginning. I will say that we sped up after that play. Once we got past that and put our first prototype out, then I started realizing and my business partner Amy, who’s also another military spouse, also realized that it was really more about just getting the product out there and it didn’t need to be perfect. We’re perfectionists, her and I. But we realized the magazine didn’t need to be perfect in the beginning and now as we get it out and it’s getting where we want it to be, we see it as more of an evolution than perfect from the start. Samir Husni: What was the most pleasant moment for you on this journey? 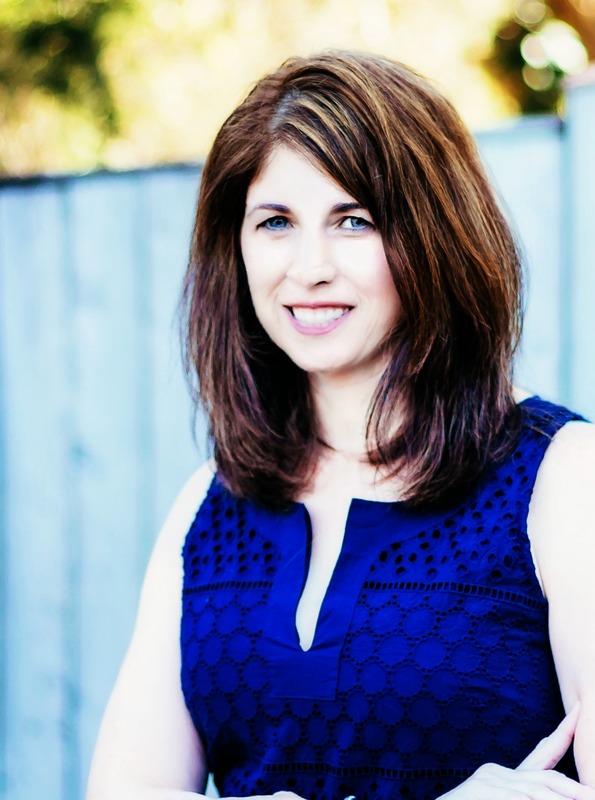 Janine Boldrin: It’s the kids, every single time. Their emails are just wonderful. I always keep a copy of the magazine in the backseat of my car because my kids will be doing something and I’d much rather have them reading the magazine than playing some electronic device. And I love to hear them comment about something they read. I just love the kids’ feedback. They’re brutally honest. They will be the best critic on the face of the earth. They do not filter their comments like adults do. If they don’t like something, they’ll tell you they don’t like it. (Laughs) And if they love something, they’ll have a very genuine expression about it. So, I love hearing those comments from my kids in the backseat or one that has emailed me. Recently I was at the pool with friends that I have known for quite some time. Their daughter had written something in school weeks ago and had said to her mom that they had to bring it to me. So, her mom had packed it into the pool bag and her daughter gave it to me at the pool and said, “Ms. Janine, can you please read my essay? I really want you to read this.” And it was all about her father’s deployment. I sat down and read it and it was just so genuine about her feelings as she was going through this experience. And I felt so trusted with her story and all of these kids’ stories. It takes a lot of trust to put your story out into the world. So, it’s them, the kids. It’s them bringing me what they want to share with their peers and the world. And that’s what’s really exciting about it. Janine Boldrin: I just hope that we’re able to connect more with schools and libraries and that more know that we exist. Quite frequently older military kids will tell us that they really wish this magazine had been around when they were kids. It’s really just hoping that we can reach more people to let them know we exist. And we’re always happy to send a complimentary copy because we find that once people see it and experience it, they understand it. And they get excited about it too. And I’m also really excited about our reporters. We have about eight reporters in D.C. and we have a database of around 30 kid reporters across the United States. And we’re connecting them with opportunities to go out and experience things and write about them. Adults and organizations have responded great to that. That’s what I hope to see in a year, that we’re in more schools and libraries for military kids and getting more experiences for our reporters. Janine Boldrin: When I was a kid I wanted to be a journalist. I’ve wanted to be a writer since day one. I took a very long and winding path to get there, including getting master’s degree in manufacturing and working for IBM. One day I managed to get back to what was truly my original calling. And what gets me out of bed is providing encouragement and opportunities to kids who also feel that, so that they don’t go down a winding path, but they see a more direct way out to what they truly see as their passion and growing their passion, because I would have loved that. I would have loved to have had that same support and someone telling me that I could do this. And that I could not only do it, but be successful. And then being shown that this is how I could do it. That’s really what gets me out of bed is encouraging kids to, and maybe they’re not going to become journalists, but to develop their communication skills and have someone to tell them that they can do this. And that they’re stories are pretty cool. You know, military life isn’t easy; it really isn’t. My husband is gone from us more than he’s been at home and when you have three kids it’s a huge balance in making sure that everyone’s emotional needs are being met, when you’re the only parent around and your spouse is in a job that puts them in harm’s way. We’re in a society that is very disconnected from that. They don’t understand the sacrifice, truly that is made by military families and the sacrifices that our kids make. And that keeps me up at night. It worries me and that’s really why I have the magazine too, because I need something that reminds me of why we do this and the positivity and the bright side of life that we encourage as a military kid. Our parents read our magazine too and they frequently tell me that it also reminds them of the positive side of military life. So, it’s my own kids, military life and the challenges that presents. And it’s another reason why I started the magazine.